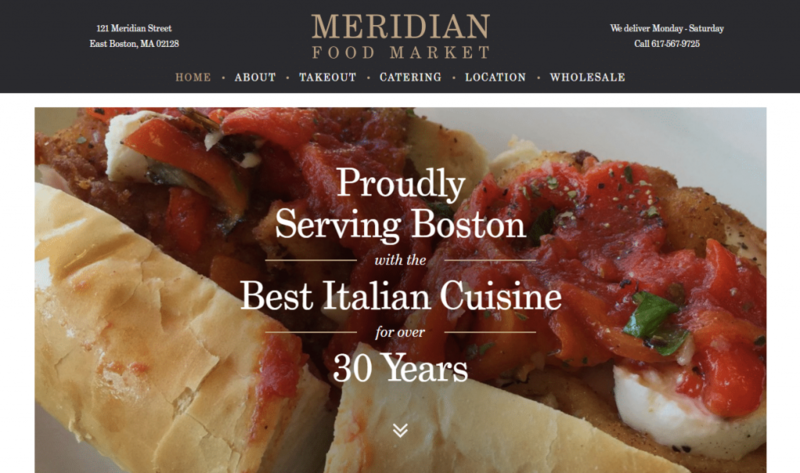 Meridian Food Market has been preparing the best Italian food in the Boston area for over 30 years. The Meridian family uses only the freshest ingredients and offers catering services for any and all events! GoingClear Interactive was responsible for the design, development and user experience design of the new Meridian Market website. The website is simple in design but uses big, beautiful photography to really capture the warmth and essence of the food. We also built custom interactive menus for better SEO and easier client management when it comes to updating their menus. 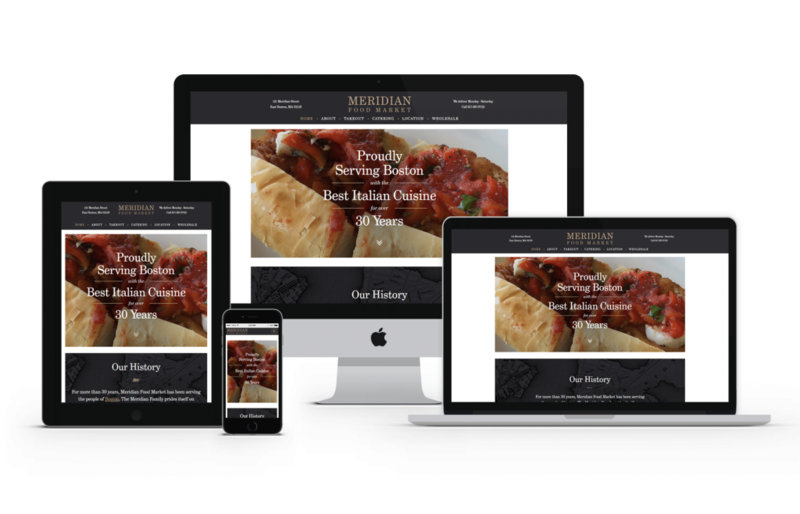 The new Meridian Market website was built using WordPress as the CMS (Content Management System). Leveraging Bootstrap for the responsive framework, the website is mobile and tablet friendly so visitors are guaranteed to have a flawless experience on any device. Bon Appetit!